Back in 1994, "Buddy L Inc" tried this one for size. 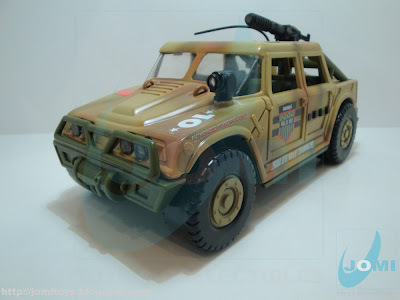 Very few Hummers were out there and the demand was high, since the H1 was a very popular HMMWV (and still is) and particularly, and most importantly, needed to be joe-usable. Some brands used the CM mold, some improvised, invented. This was one of the latter. 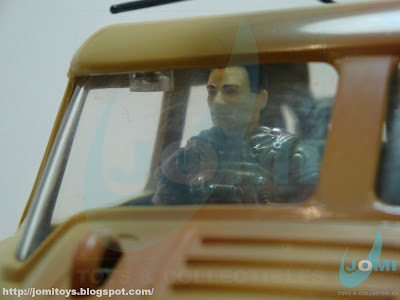 Interesting enough, this "model" has some of the looks of the Humvee used in "Rise Of Cobra". 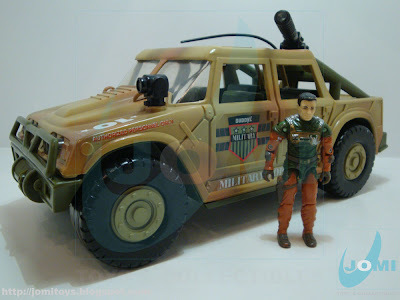 When G.I.Joe RAH was dying in 1994, many collectors and enthusiasts like ourselves, were searching everywhere for anything useful. 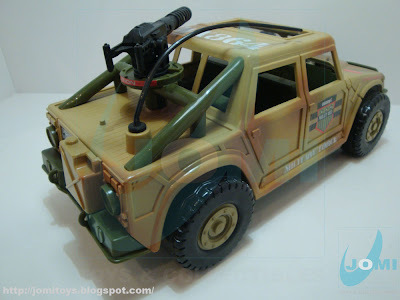 This truck/ humvee/ 4X4, was one of many examples of our thirst. As you can see, the scale was close enough. The buttons activate sound and light systems. Some of the cool looking angles this vehicle achieves. The foot peg was a definite hint. The piece size couldn´t be more precise. Convenient. 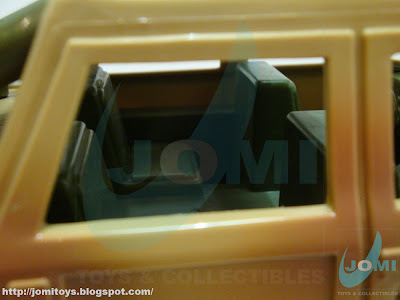 The interiors are basic, but you can fit 4 joes in there. The scale is pretty much accurate in there. Top view. You can customize away. 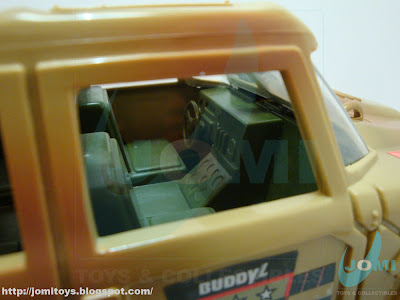 The plastic used is play-proof, as it would be expected from Buddy-L.
Back seats. 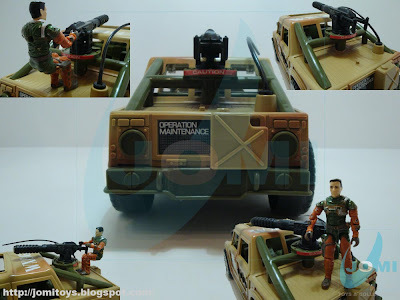 Overall, and considering the era, it was a nice addition to a joe army. However it is pretty heavy, but once stripped of all the electronics, it may come out a lot lighter. Eletronics aren't what I want of a vehicle, but I can see kids having fun. 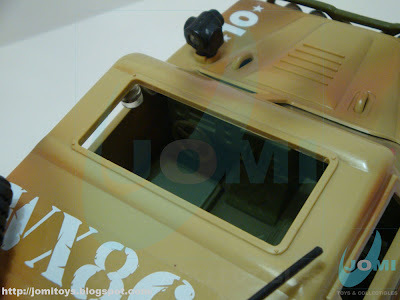 About the design I would say it is cool to have some designs diferent from the traditional HUMVEE. 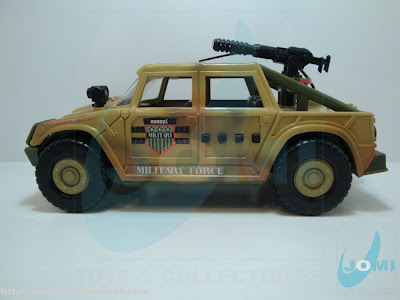 Take a look at the ATK Corps vehicle. HUMVEE is very US Army and so. 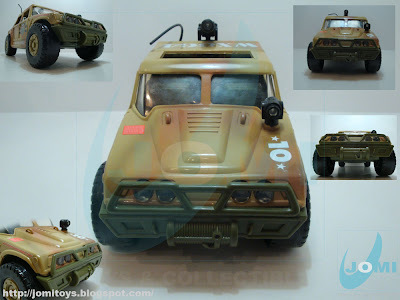 For Cobra or MARS I need vehicles similar but with small changes and this is one of those. Great one, better only in woodland camouflage.